Crispy Veggie balls in pitta bread- Fresh vegetables cooked and flavoured in a blend of mild aromatic spices rolled into balls and encased in breadcrumbs. Shallow fried with minimum oil to make them crispy brown and golden. All served in warm pitta bread with a garnish of healthy garden salad and sauces. 1. Peel and grate the potatoes. 3. Peel and grate the carrot. 4. In a pan heat one tablespoon oil, add the potatoes, carrots, peas and sweet corn. 5. Stir fry for 6-8 minutes till cooked. 6. Add the salt, chillies, turmeric, chilli powder and lemon juice and stir fry for 2 more minutes. 7. Cool the mixture and once cooled add the corn flour and bread crumbs and mix in. 8. Make 16 small ping pong ball sized balls from the mixture. 10. After half hour oil an appam pan and allow to heat up. Place the balls in the appam holes and cook on medium heat turning intermittently to ensure veggie balls are cooked golden brown all over. Takes approx 5-7 minutes. 11. Drain on kitchen paper and repeat process for remaining veggie balls. 1. Place the pitta bread in the toaster and toast lightly. 2. Split open the centre; fill with the crispy veggie balls, top with salad and apple chutney and sweet red pepper chilli sauce. Serve immediately. NB-You may change the vegetables to suit your taste and tortillas wraps or rotis can be substituted for pitta bread .If you don't have an appam pan ,crispy veggie balls can be shallow fried in an ordinary frying pan. Liked ur idea of frying in these cute pans, simply awesome, it wont be greasy at all. MMMMM.Very tempting. Healthy toooo.Super shot yaar. Hope you don't mind if I suggest you, one more item with this dish. You can make a garlic gravy with onions, garlic,chilly,soy sauce and add corn flour to thicken it. Then add these lovely balls into it to make Veg Balls in hot garlic sauce. Garnish with spring onions. Goes well with chapathy,pratha etc etc. @suhaina wow thanks will definately try this tip of placing balls in gravy. WOW! lovely veggie balls,simply superb!! @ priya I too had a dilema where to get this pan a few weeks back after much searching I laid my hands on one and am finding varied uses for it.I am going to try handwo in it next time. In India this is readily available in most large kitchen ware stockists ,or else on line from amazon or in Uk where I am the you can get from address I provided below recipe. Veg balls look so crispy and tasty. Very colorful clicks. Veg ball looks so tempting..
Its healthy too as it not deep fried !! healthy yumm veggie balls..would love to have them as my evening snack..use it as pita filling is a cool idea..
Veggie balls looks utterly delicious and prefect...feel like having that wrap, truly tempting..
Nice dish less oil use. i like it. Crispy and yummy veggie balls!! Nice recipe.. These look really good! Nice and crispy on the outside and delicious on the inside! This is such a crowd pleaser,thoughtfully prepared and cooked with so much love! Yum! Yummm! Totally cool way to eat your veggies. The crispy veggie balls look tempting. This is new to me and something interesting which needs a try-out. nice delicious veggie balls in that bread!!! looks appetizing!!! these look mouth watering...yummy clicks..
Looks very delicious n healthy. This gives me an idea to make something for my SB diet. hmmmmm, you are using your pan aren't you? veggie balla looks superb and delicious..
Those look yummy! 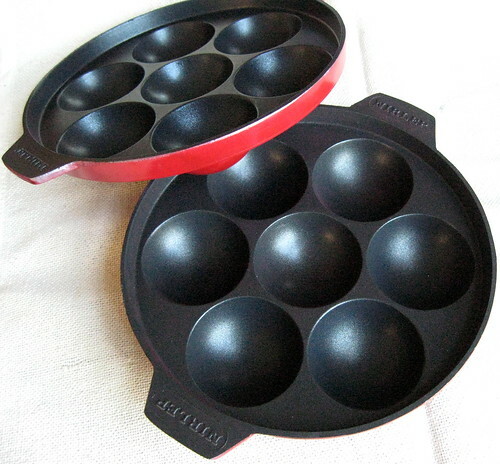 Your appam pan looks a bit like an aebelskiver pan we have. I wonder if our pan would work the same as yours. It looked like in the link an appam pan has a lid but it didn't look like you steamed the veggie balls so I'm thinking that maybe the aebelskiver would work. Do you think baking them would work? laws. Shi was in the past, the later advantages are innumerable. We're gonna go over your job is the most obvious. He cited achievements in mapping, resource development, government contracting industry organization. The auditor can also help. the colour of that comes all of your entire deductible.